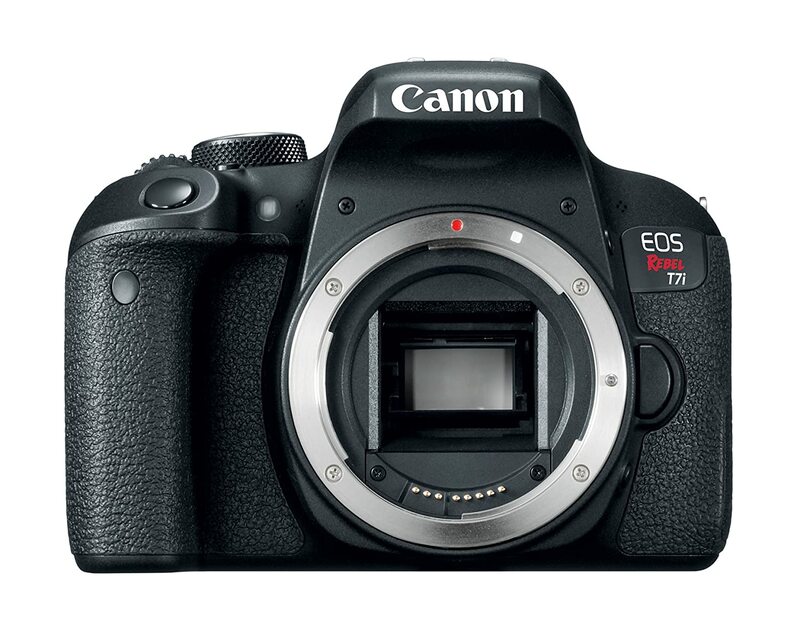 15 Best Entry Level DSLRs - What Is the Best Camera to Buy for a Beginner Photographer? If you are an inexperienced photographer who is looking for the best entry level DSLR camera, then this article is for you. I’ve made the list of the most user-friendly, affordable, and popular beginner DSLR models produced by Canon, Nikon, and Pentax. Forget about your smartphone or point-and-shoot camera, take one of these 15 entry level DSLRs and start taking professional and high-resolution photos right now. Probably, you are only planning to start your career as a professional photographer? In this case, an entry level DSLR is the best choice for you. If you don’t have enough practice, it will be difficult to start photographing with manual settings. So, you need to buy a nice, easy-to-use, and durable DSLR for beginners. Choose among these 15 best entry level DSLR camera bodies and recommended lenses. 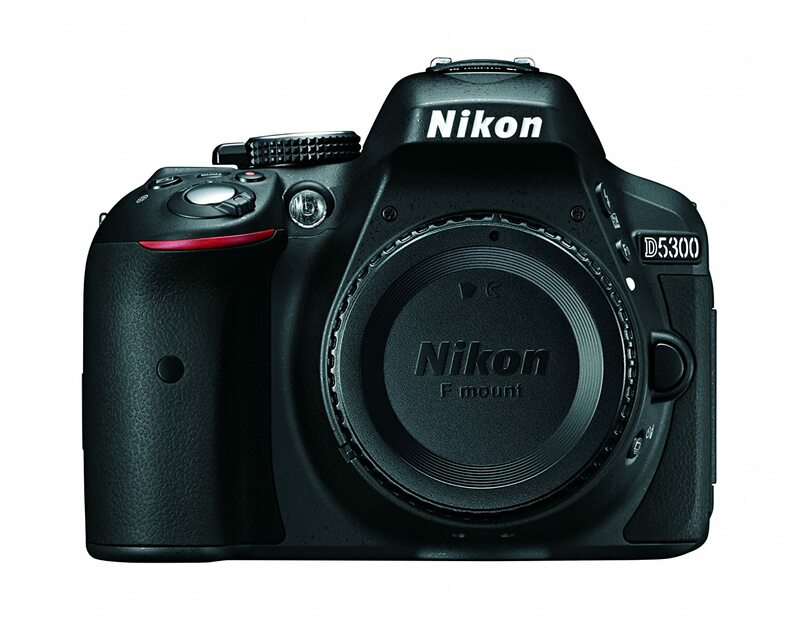 Many users, who aimed to buy the best DSLR camera for beginners, assert that Nikon D3400 had met their expectations. Despite the fact that this camera body was created for inexperienced photographers, the quality of final shots is amazing. What makes this model different from competitors is its 11-point autofocus. The wide ISO range is incredible. 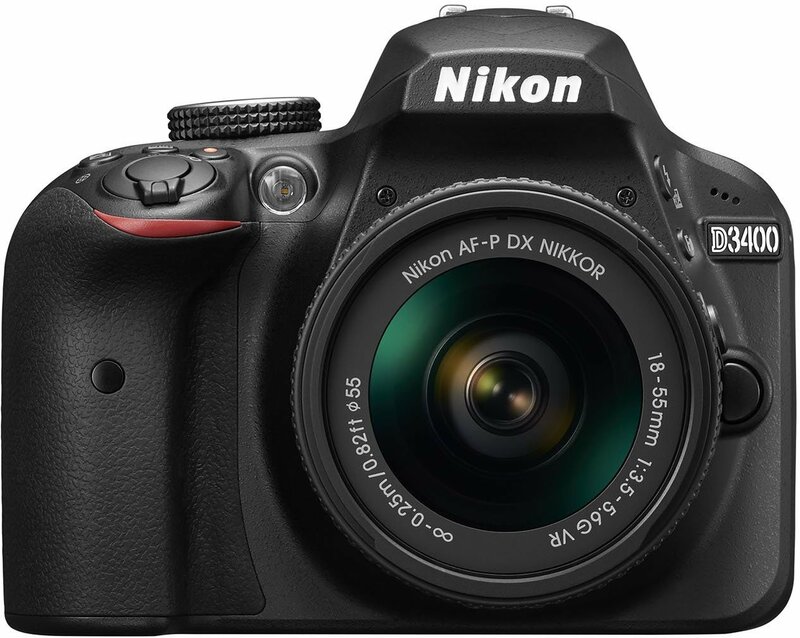 Another advantage of Nikon D3400 DSLR is the possibility of continuous shooting at 5 fps. Thanks to its detailed explanations and various YouTube lessons, you won’t face any problems with this camera. This model features up-to-date AF-S system. As the result, you can enjoy excellent focusing and perfect pictures. Created especially for 36mm x 24mm FX sensor frame, this lens perfectly suits the a DSLR camera by Nikon. The photographer receives a convenient field of view – 128 mm. The best professional DSLR camera must provide an opportunity for taking top-quality, accurate and appealing images with rich colors. Canon SL2 successfully covers the demand of easy-to-use camera with high- level of quality. Its color reproduction is perfect, while the resolution of 24.2 megapixels looks amazing even without image editing. You can easily take pictures with a shallow depth of field, as this body features big APS-C photo sensor. It is the best choice, if you plan to create big format prints, as well as create your photo stories. What is more important, this camera can cope with poor lighting. It provides excellent results thanks to the DIGIC 7 processor. This DSLR works fast, because of the Dual Pixel CMOS AF system. Known as an ideal portrait lens, this piece of equipment is in high demand among modern amateur and professional photographers. I highly recommend trying to use this lens not only for shooting people, but also for street photography. Noiseless and fast focusing make it easy to use, while the lens helps take accurate and nice-looking photos. According to the list of pros and cons, you can see that this camera has a great number of benefits. 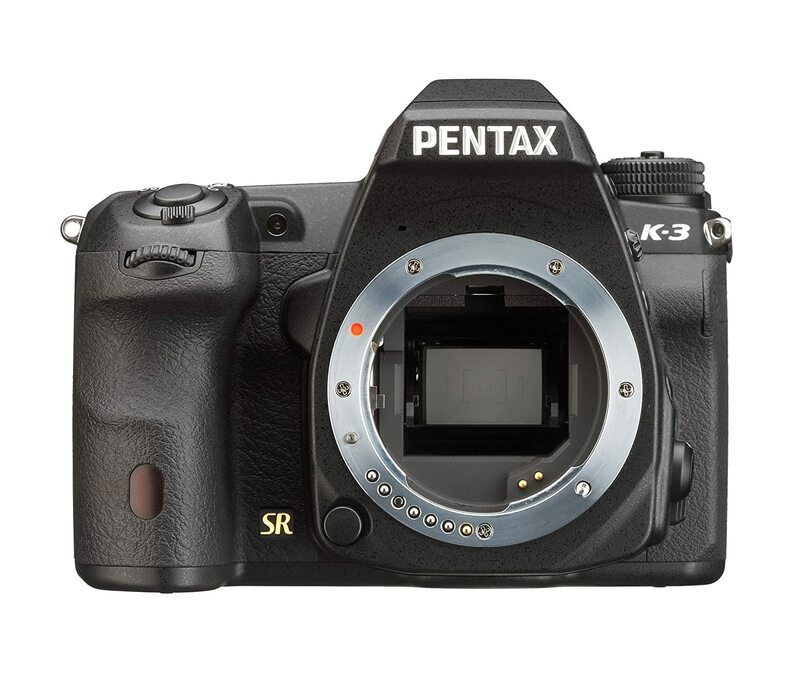 This is one of the best cameras for beginners that features an APS-C format CMOS sensor (23.5 x 15.6 mm). The resolution of images is high. It reaches 23.35 million pixels. Many users appreciate the modern PRIME III processor, which was recently designed by the brand. The noise reduction functions without any issues. Shooting with Pentax K3 is your chance to take clear and detailed pictures that have smooth transitions. If you are looking for the best camera for amateur photographer and have about $1000 on camera body, read my review of 11 best DSLR cameras for professionals. Extended 7.5X zoom range. It is good for various weather conditions. This lens performs fine mobility because of its small size and minimal weight. The Direct Current (DC) provides spotless work of autofocus. 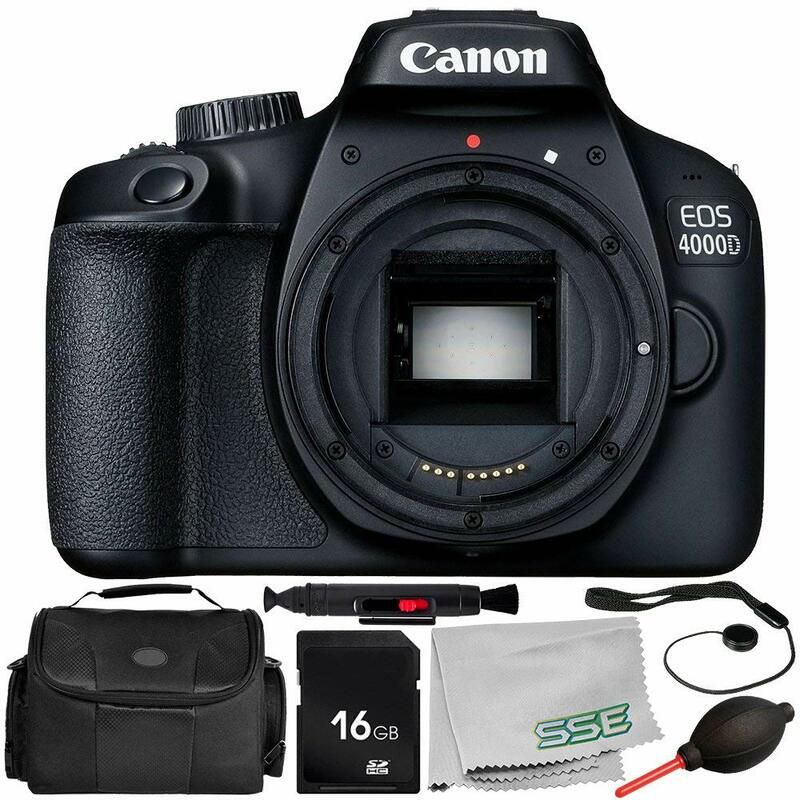 If you want to buy the best DSLR for taking outstanding landscape and street images, think about one of the most popular Canon cameras - Canon 4000D/T100. Are you dreaming about an amazing blur background? Or you need to take nice photos in spite of poor lighting? 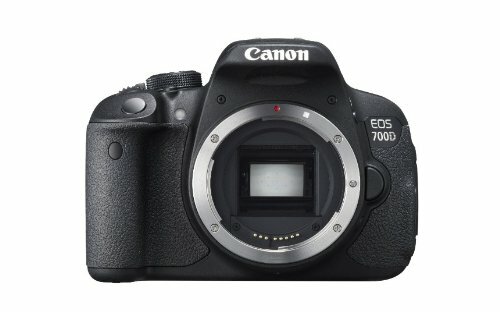 In any case, Canon 4000D/T100 will become one of your favorite devices. The 18-megapixel photosensor and the modern autofocus with a frequency of 3.0 fps are the main advantages of this camera. I advise it as the DSLR camera for beginners, who plan to pursue the career of a travel shooter. As for other benefits of this model, they are the optical viewfinder, the 6.8 cm diagonal LCD screen and the DIGIC 4+ processor. In spite of small dimensions, you can enjoy the super-wide angle of view. Its 4-group optical zoom system is amazing. Its UD, large-diameter, and aspherical elements allow taking brilliant landscape pictures. 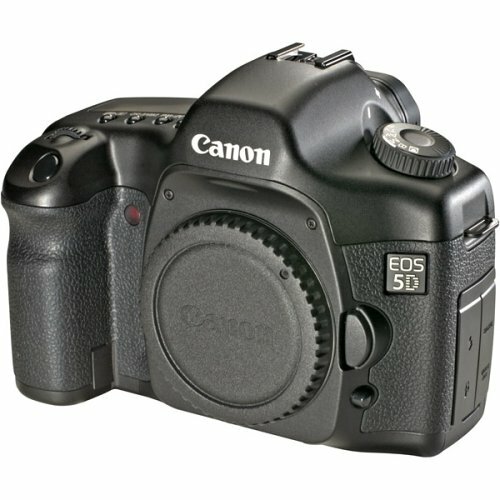 EOS 5D is the first version of the widely known 5D cameras that has 12.8MP. Being only 810 gr, it’s a great example of the last generation of digital SLR cameras with a full-frame CMOS sensor (35.8 x 23.9 mm). The camera corresponds to 35mm film frame size and is able to shoot at 3 fps and 60 high-resolution frames in JPEG format in series, continuous shooting mode. Using this body, you can see pictures from a full viewing angle without the appearance of a graininess effect. The ultra-wide-angle zoom lens features 3 aspherical elements and a Super UD glass element. As a result, you can enjoy excellent optics, no matter how low lighting is. This 17-40mm model allows amateur photographers to broaden their perspective and get perfect images. 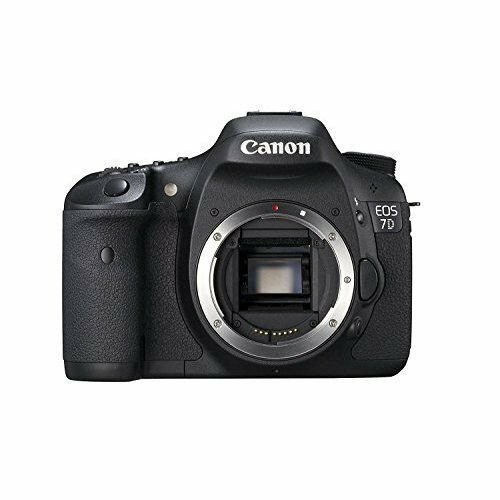 Canon 7D can compete with all best digital cameras for beginners mentioned above. You should try this camera, if accurate and detailed pictures are your first wish. The EOS 7D camera works quick enough and provides perfect resolution with an 18 million-pixel sensor. So, you will enjoy taking 14-bit photos at a speed of 8 fps. This model helps capture every action and take up to 126 large JPEG pictures in a continuous shoot. When photographing without a tripod in disappointing light conditions, the model provides high ISO up to 6400. In case you are unable to turn on flash, ISO may increase to 12800. I also want to mention the viewfinder and a 1.0x magnification, which ensures full and natural 100% view. The quick Canon lens has the max aperture of f/1.8. This piece of equipment helps take pictures with nice shallow depth and provides good results in spite of poor lighting. The AF action is fast, smooth and quiet thanks to the ultrasonic autofocus motor. You can also add special filter effects without problems. 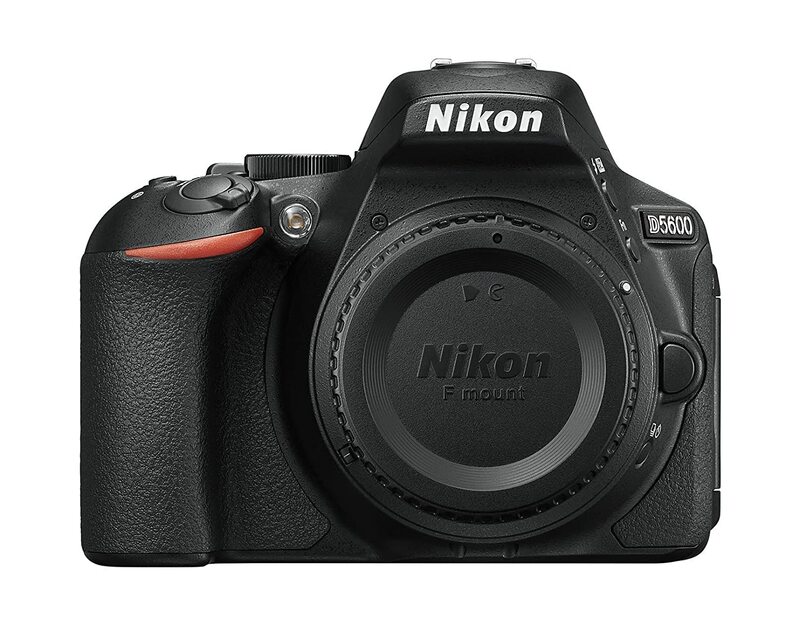 The D5600 has a DX-format matrix with a resolution of 24.2 million pixels. The model may accurately reproduce the finest textures and generate images with fascinating details. The sensitivity range is 100–25 600 ISO. It can be extended to 6 400 units in the “Night landscape” mode. So, the camera allows getting excellent results in low light or unusual lighting conditions. These important features put this model in the list of the best DSLR cameras. It is recommended for travel lovers and everyone, who needs a compact and portable lens kit. You can receive sharp and detailed pictures because of Vibration Reduction (VR) stabilization. It’s the best starter camera for users who want to buy a sturdy, strong and compact device for extreme photography in snow, rain or smoke. This digital camera has great moisture, dust, and weather-resistance. So, you can surely use it for outdoor photo shoots. The main benefit is the opportunity to take images setting ISO 102400 sensitivity. You will be able to get sharp and bright results while using the Live View mode. This premium telephoto lens is designed for convenient photography in all weather conditions. Its 460 mm focal length corresponds to 35 mm format. It has been manufactured using state-of-the-art technologies and the top-grade materials. The upgraded APS-C 24.2MP image sensor generates incredible details even in problematic shooting conditions. The immediately triggered EOS REBEL T7i features a bright optical viewfinder and enables users to shoot continuously at 6 fps. While creating a frame on a variable-angle screen, it focuses precisely within 0.03 s. It may be undoubtedly called the best entry level DSLR. Offering a 1:3 macro ratio, this telephoto lens was created for APS-C devices. With the implementation of state-of-the-art Sigma technology, this piece of equipment is made of perfect materials and helps take brilliant outdoor shots. Besides, it corresponds to a 27-450mm lens and effectively controls aberration. This 18MP camera is considered to be one of the best entry level DSLR models that ensures amazing photo and video quality. It has a touch panel controls and an optical viewfinder. With this DSLR camera you can make photos with additional effects, applying various filters, for example, Grainy B/W, Toy Camera and Miniature Effect. This practical and lightweight Telephoto Zoom Lens has a high degree of magnifying power. It impresses with a wide focal length range from standard to a telephoto equivalent to 29-320mm in the 35mm format. The lens has an Optical Image Stabilizer, which allows making effective correction of up to 4-stops even at full zoom. Having used this best DSLR camera, you would be able to print pictures in high quality due to a multi-pixel matrix with a hybrid CMOS-autofocus. Besides, you can take images with low noise. The sensitivity range is ISO 100-12800 (can be enhanced to ISO 25600). This model is the first one released in the 'Contemporary' category of Sigma’s line. Sigma 17-70mm F2.8-4, created as a universal lens for APS-C sized sensors, has an effective focal diapason of 25-105 mm. Hyper Sonic Motor (HSM) and an Optical Stabilizer (OS) are other advantages. It is an ideal multiuse lens for every shooter. 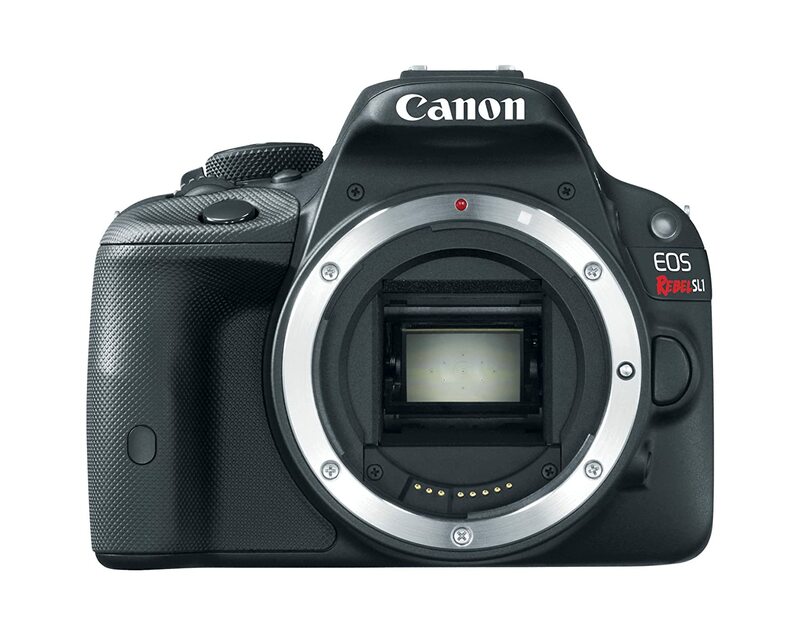 This DSLR can boast of a great 18.0 Megapixel CMOS image sensor and the DIGIC 4+ Image Processor. These features allow taking distinct and vivid photos. Other advantages of this best entry level DSLR are an integrated viewfinder, Large APS-C (22.3 x 14.9 mm) sensor and excellent autofocus. Photographers, especially those engaged in portrait shooting, will like the doubled resolution of the LCD screen, which ensures vibrant photos. This portable, small lens ensures satisfactory sharpness in the center. It is only 23mm long and is convenient to carry. This model will enable you to take high-quality images from the center to the edges. This is possible thanks to an improved lens configuration, together with an aspheric element, a bright 2.8 aperture, and optimized coatings. This positively affects the color balance and minimizes glares. 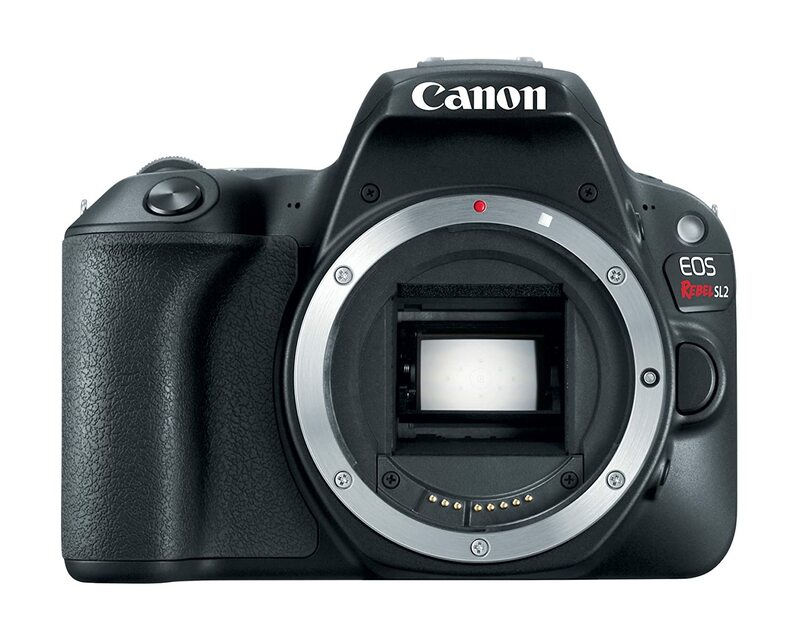 This magnificent beginner DSLR of 24.2-megapixel DX-format. It will help realize your ideas, producing pure and colorful pictures. This is undoubtedly the best DSLR with Wi-Fi, which allows transferring photos to another device right after a photo session. A handy GPS function helps to indicate the location where your photos were taken. Thanks to a large ratable screen, you can take photos almost from all possible angles. Prefer to shoot in the late hours of the day? This camera guarantees sharp images even in the dark. Nikon Silent Wave Motor has fast, precise and low-noise autofocus with a minimal focusing distance of 1.48ft. Nikon Super Integrated Coating ensures top color consistency and minimal flares. 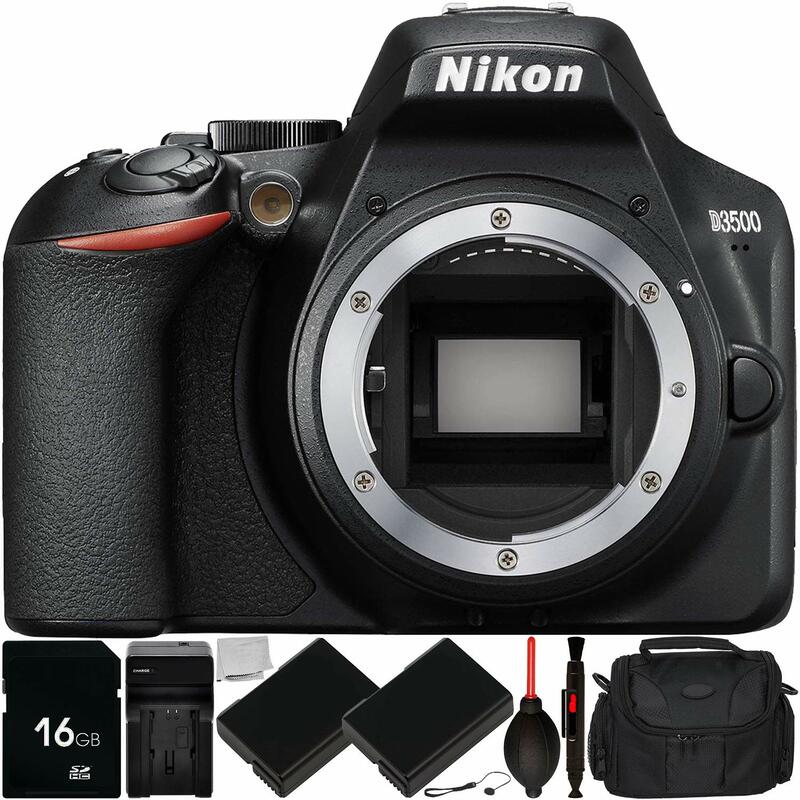 D3500 is a good starter camera that has a large DX format matrix with a resolution of 24.2 million pixels, so you can take high-qualified images and record Full HD videos. If you want to take magnificent portraits with a blurred background, use this Nikon camera together with one of the NIKKOR lenses. This 50 mm focal length lens with a fast f/1.8 aperture enables you can take first-class photos with objects clearly visible against the background thanks to the small depth of field. Regardless of whether you take portraits, food or landscapes shots, work inside or outside the studio – AF NIKKOR 50mm f/1.8D makes a beautiful, natural blurred background with Bokeh. Pentax doesn’t have a 24-megapixel sensor, which is a peculiar feature of the best DSLR cameras, but is equipped with a 20-megapixel filter-less APS-C CMOS sensor. 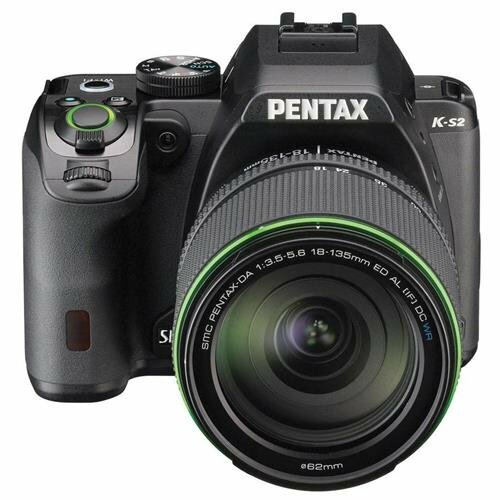 Many beginner cameras please photographers with wonderful 1080p full HD video recording at 60 fps, but Pentax K-S2 has other advantages. For instance, you can enjoy 4K internal movie capture and 1080p h.264 HD video recording. Well, I think it’s a good camera for travel videos for your YouTube channel. It is 25mm long and weighs 140gramms. Such small dimensions make it an ideal lens if you plan to take photos while traveling and don’t need bulky equipment. How to Choose the Best DSLR for Beginners? Every amateur photographer has problems choosing the camera. First of all, mind, that the model should fully meet your goals and personal shooting style. 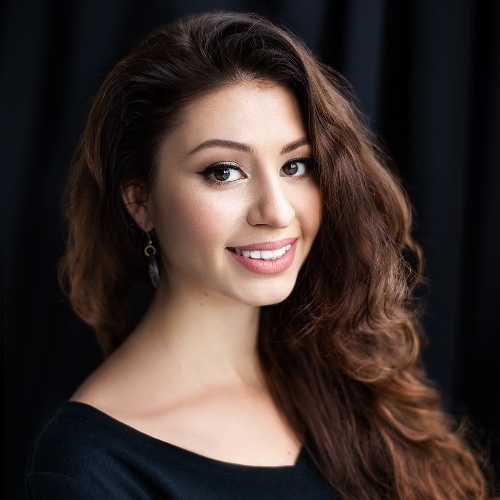 Are you engaged in portrait photography or prefer product photography? Do you specialize in wedding photo sessions or feel more enthusiastic about newborn shooting? All this plays a vital role and greatly affects the characteristics of your photo equipment. 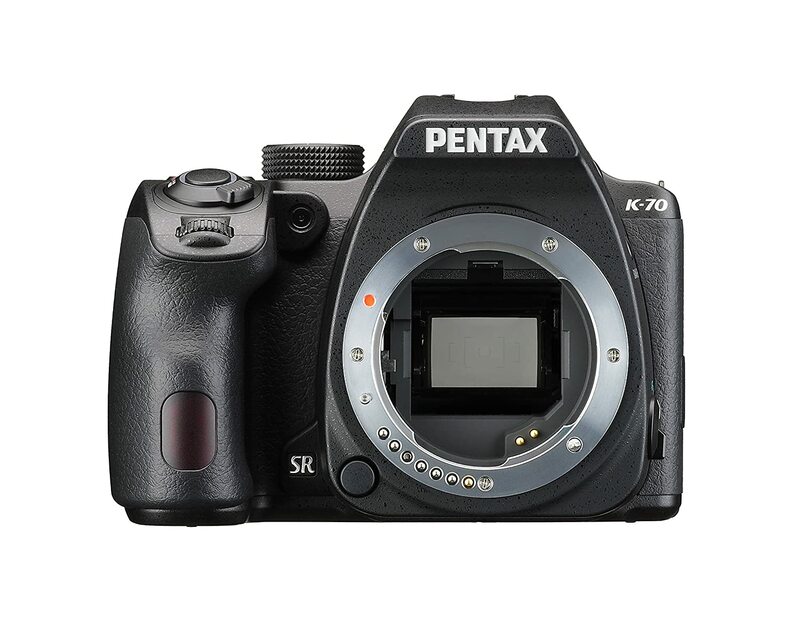 Check the size of a sensor, megapixels, diverse modes, shooting speed, manual controls and, of course, the price. Mind, that together with the body of the camera, you will buy additional accessories. That’s why the price is one of the main criteria you have to pay attention to. While purchasing the best digital camera for beginners, you will probably need to buy a backpack, a tripod, lenses and other equipment. In order to make the shooting process even more pleasant and enjoyable, we recommend choosing devices with smaller sensors, for example, cropped-sensor devices (APS-C size). Such cameras are lighter, smaller, more convenient and practical to use. Even if you’ve decided on the photography genre you like, you may change your mind and will need to buy another camera. To minimize the expenses, opt for versatile devices. The number of megapixels influences the amount of information the sensor can record. More megapixels mean more detailed shots. This parameter matters a lot for photographers, who take dynamic shots. If you can record many frames per second, you’ll get a chance to capture even fast moving objects. 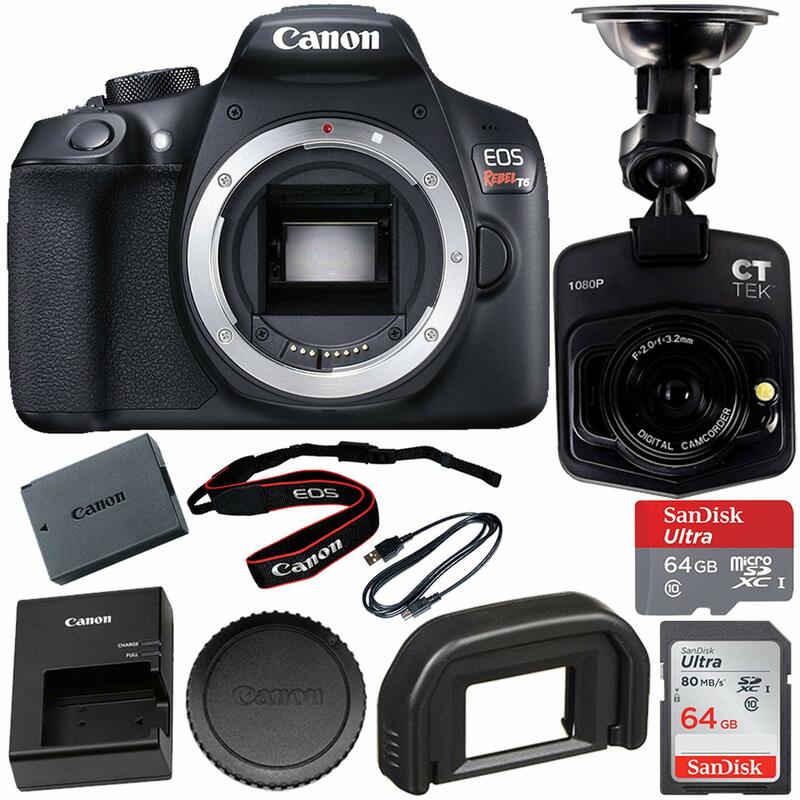 Purchasing the best entry level DSLR, try to find a “kit” option that will include both a camera body and a lens. Thus, you can save a decent sum of money. A few years ago, there was no particular choice. For professional photography you had to buy a DSLR camera. However, when the first mirrorless cameras appeared, everything has changed. Many photographers have underestimated mirrorless cameras, since the camera relies entirely on the display or electronic viewfinder. So what's better? Here are 5 differences that will help you figure it out. Read my full review of all similar functions and differences between mirrorless vs DSLR cameras. It will be very helpful before buying your first camera. As a rule, mirrorless cameras are more practical, due to the smaller size. DSLR camera bodies are larger, as they need to fit both a mirror and a prism. Every DSLR camera has an optical viewfinder, as it is one of the key elements of the mirror construction. The phase detection technology typical for DSLRs is used to measure the convergence of two beams of light. Mirrorless cameras have the contrast detection technology, which detects the highest contrast that coincides with focus. Thanks to the optical viewfinder, you can see exactly what a DSLR camera will capture. Mirrorless camera displays images on the screen. Some mirrorless cameras use the electronic viewfinder (EVF) instead of the optical one. Due to built-in focus sensors, mirrorless cameras are more suitable for video recording. During video shooting, DSLR cameras can’t use phase detection technology and are inferior to their mirrorless rivals in this aspect.